Muddy Waters had only recently completed his Australasia tour, which had begun in late April and finished in Perth on May 11, 1973. He arrived just two days later in Vancouver before performing five dates at the Whiskey-a-Go-Go in Los Angeles. He then made his way into a small downtown Denver nightclub called Ebbet's Field for five shows. 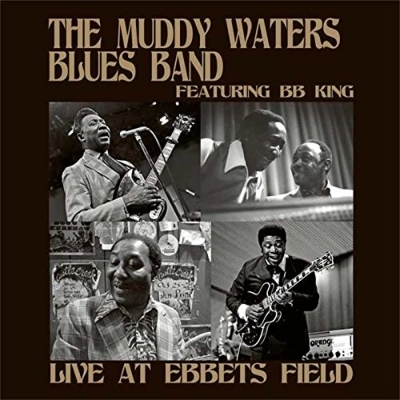 This recording is a milestone in vintage blues: a rare and exclusive performance from Mississippi giants Muddy Waters and B. B. King. Sharing the stage for one night only, this joint appearance from May 30, 1973, is finally available. Long considered to be a classic performance, but lost to time, this inspiring performance is presented in it's entirety as originally broadcast on FM radio, with digitally remastered sound, detailed liner notes, and photos.